What If The Call I Receive To My Cell Phone Is From An Automated Dialer, And I Am Then Transferred To A Collection Agency? This would be a violation of the Telephone Consumer Protection Act (TCPA). Various court cases have determined that a collection agency using this type of technology is violation of the act, and damages can thereafter be assessed. But if such a violation occurs, there are several things that you can do about it. The TCPA was designed by Congress in order to protect unsophisticated consumers against the tactics employed by debt collectors. Collectors using this method will preselect a set of phone numbers to call the night before by identifying certain people in their database (ex. people who are sixty (60) or more days delinquent in payments to the creditor). The next day, the ‘dialing campaign’ begins, and the computer program automatically calls the selected numbers. As soon as you answer your cell phone, the call is immediately transferred to the first available collection agent (who then proceeds to ask you questions about your debt). So the TCPA expressly prohibits calls to certain telephone numbers (specifically cell phone numbers) by using an ‘automatic telephone dialing system’ (systems that allow for calls to be made without human intervention) without your prior consent. If you receive such a call, the collector has violated your consumer rights. You would then have the ability to file suit against the company and seeks damages. Damages are usually awarded in the amount of $500. But one of the great things about this federal statute is that if a violation is proven to have occurred, the collector has to pay for your attorney fees. This means that you do not have to pay your attorney any upfront fees for the cost of filing the suit. In addition, it may be wise to look into whether or not you may need to file a Missouri or Illinois bankruptcy. 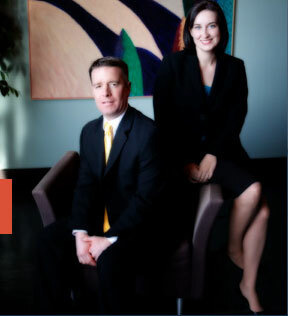 Whether it is a St. Louis Chapter 7 bankruptcy or a St. Louis Chapter 13 bankruptcy, the affordable St. Louis bankruptcy attorneys at Brinkman & Alter, LLC have been making sure that all of our clients’ rights are protected. Our goal is to put you on the road towards financial freedom, and you get you the fresh start / clean slate that you deserve.